in the framework of the exhibition Aural Aquatic Presence featuring work by Robertina Šebjanič . The current exhibition project artistically explores the interplay and intercommunication between animal and machine while focusing on the aquatic environment. 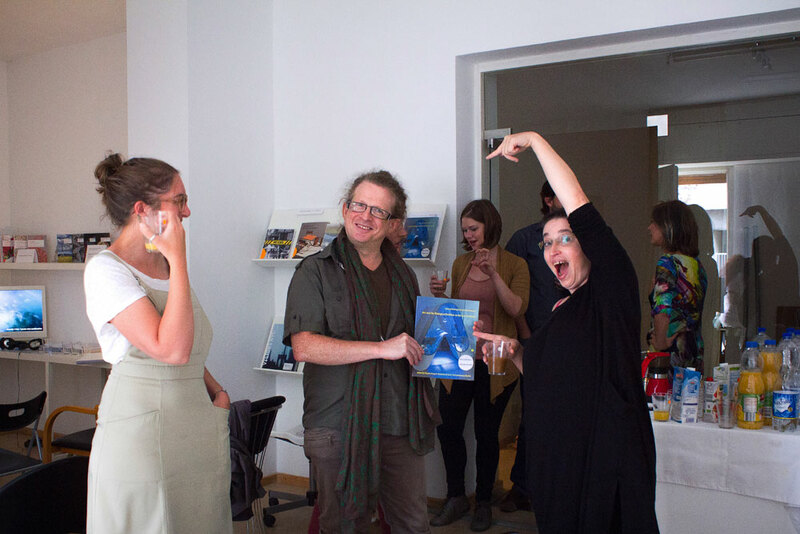 Within this framework we want to invite you to our seminar which will theoretically explore these and other aspects about artistic and scientific methodologies on interspecies empathy and human-nonhuman companionship. 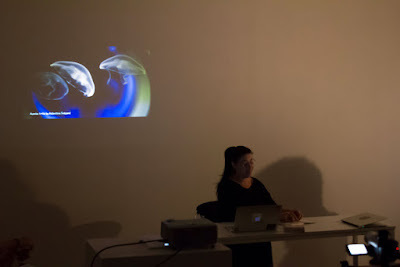 Based on the concept and exhibition series Nonhuman Subjectivities the presentation will theoretically reflect several artists and their specific artistic interest in nonhuman agents. Different artistic strategies will be presented to discuss the manifold aesthetic approaches to the phenomenon of object-oriented perception. 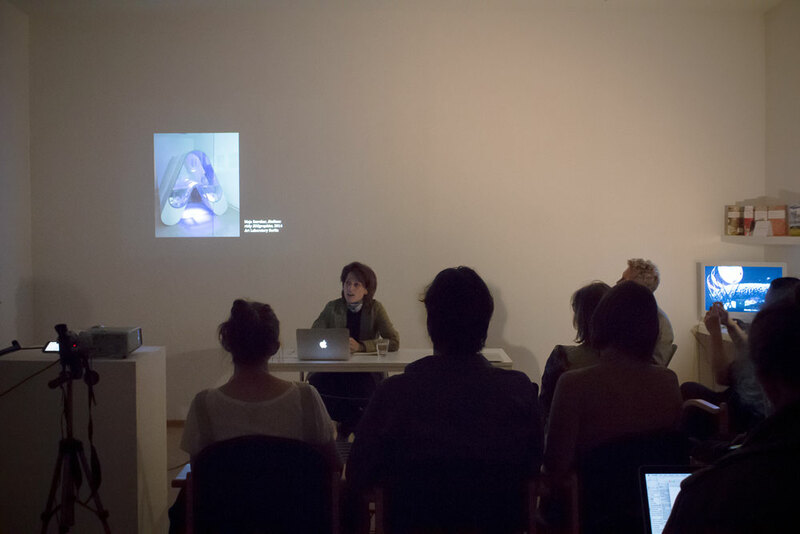 Be it narrative strategies, aesthetic strategies of immersion, bridging medical historical phenomena with gender issues, or combining scientific laboratory and art practices – it is challenging to explore a variety of artistic approaches towards the nonhuman. The counter-linguistic turn as well as the concept of cooperative actions can serve as a useful theoretical ground within the debate. The most substantial aims of the audiovisual performance Aurelia 1+Hz / proto viva sonification (2015) are to explore the phenomena of interspecies communication, sonification of the environment and the underwater acoustic/ bioacoustics. 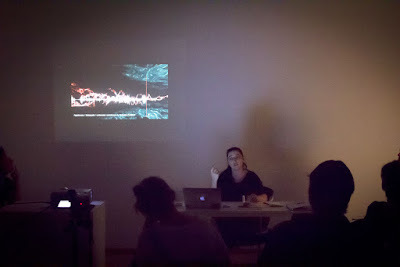 Her new installation Subaquatic / Aquatocene sound scape (2016) reflects about the immersion into the underwater acoustic environment and the sound and noise pollution produced there by human presence. The project explores the relationship between sound, nature and society and encourages rethinking the human impact on the (under)water habitat as well as the establishment and maintainance of safe audio environments for animals that live in the oceans and seas. We have a lot in common with coral. It builds shelter to protect itself, and lives in symbiosis with microorganisms, which – like our microbiome – help it to survive. Coral acts like a steward to much other marine life, providing a home for the algae with which it lives symbiotically, and creating reefs that are one of the most biodiverse ecosystems on the planet. 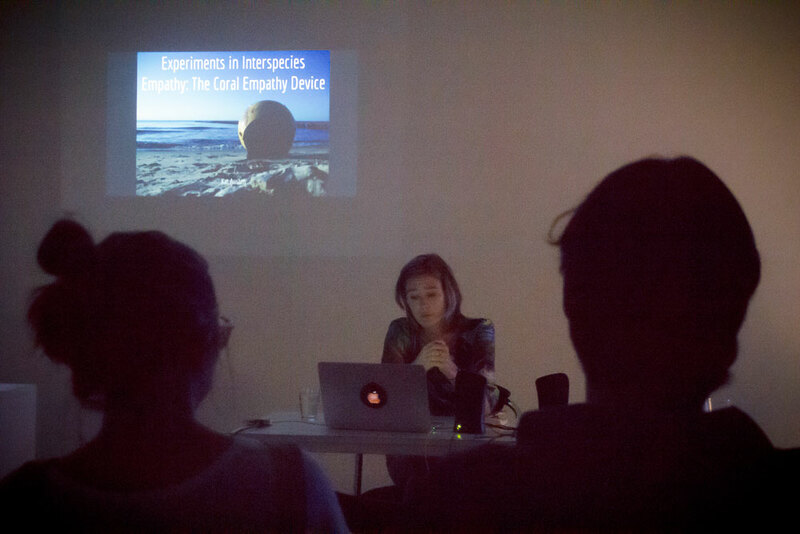 Using stewardship as a common starting point, Kat will discuss her piece The Coral Empathy Device (2016) in the context of exploring interspecies empathy through artistic investigations into the marine environment and human perception. Drawing on an approach that melds together multiple knowledges, Kat will explain both the conceptual approach and her methodologies in the research and creation of a piece that challenges the audience physically to prompt a lived experience connecting human-in-air and coral-in-water. All photos copyright Art Laboratory Berlin e.V. unless otherwise noted.